So we think this is worth the wait. We do custom gift baskets for ALL occasions, but we think the baby baskets take the cake!!!!! 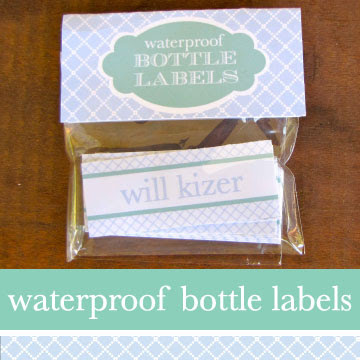 They are the perfect cross between something ridiculously cute and yet still PRACTICAL that mom will actually use!!!! We thought this was HILARIOUS. 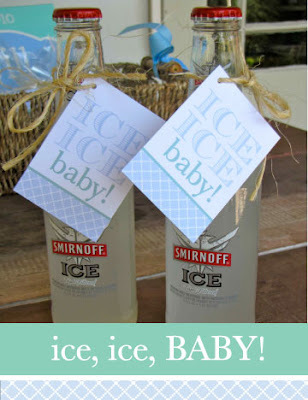 Supposedly the mom has been very upset she has not been able to be "iced", so this was her BF's hysterical request. Adorable!!! Oh, and you can pick and choose items too so you can make them to whatever your budget is! Doesn't get better than that! Okay, in honor of our good friend Brooke's Big 3-0 tonight, we thought it only appropriate to show the swank that shall be bestowed upon her!!!! The catch all and matching hand painted wine glass (that will be put to good use tonight, I'm sure) is such an adorable gift!! The baby basket is for tomorrow..we are getting good at this posting thing, huh?! Okay, so we are SO new to the blog world, but we got the sweetest email from College Prepster last week wanting to do a giveaway for OUR products!!!!!! We could not believe it! We of course (DUH) said well, lets think...what is the newest, hottest thing we could share with fellow bloggers?! So head on over to College Prepster to win a swanky catch all or custom lucite tray! Thanks SO much for being such a kind fellow (and MUCH more experienced) blogger! 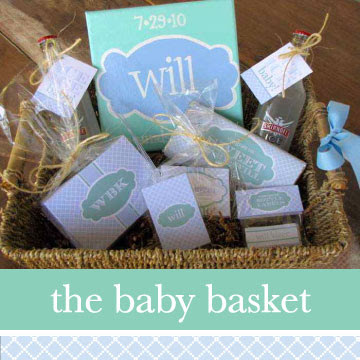 P.S.--ummm about to post the cutest Baby Gift Basket, EVER. 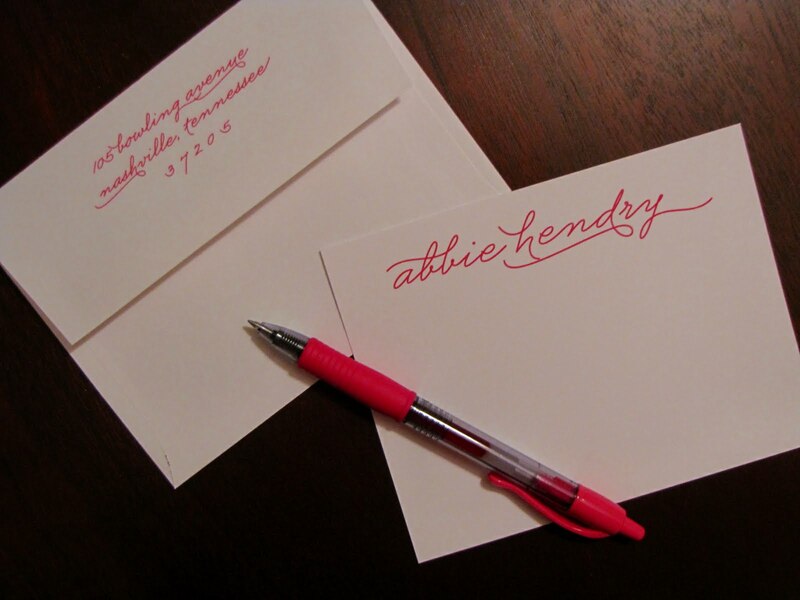 Stay tuned..
We are a BIG believer in the handwritten note. It tells someone you stepped away from your computer in this technology driven day in age, and took the time and effort to put pen to paper. Enjoy the eyecandy of our completely custom notecards below.. So it is 90 degrees out and Friday afternoon....what does that mean for Nico and Lala?! 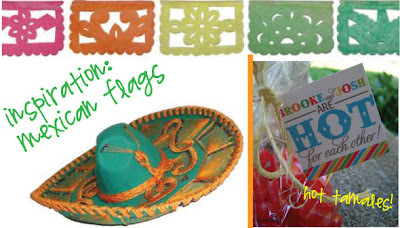 FIESTA TIME! 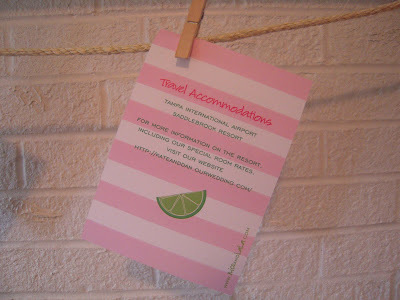 We have just made margaritas which reminded us of such a cute party we did that was our pre-blog era! Let's be honest though, we really have only been blogging for like 2 weeks, so we have SO MUCH MORE TO COME! Kick back, pour your own margarita, and ENJOY! 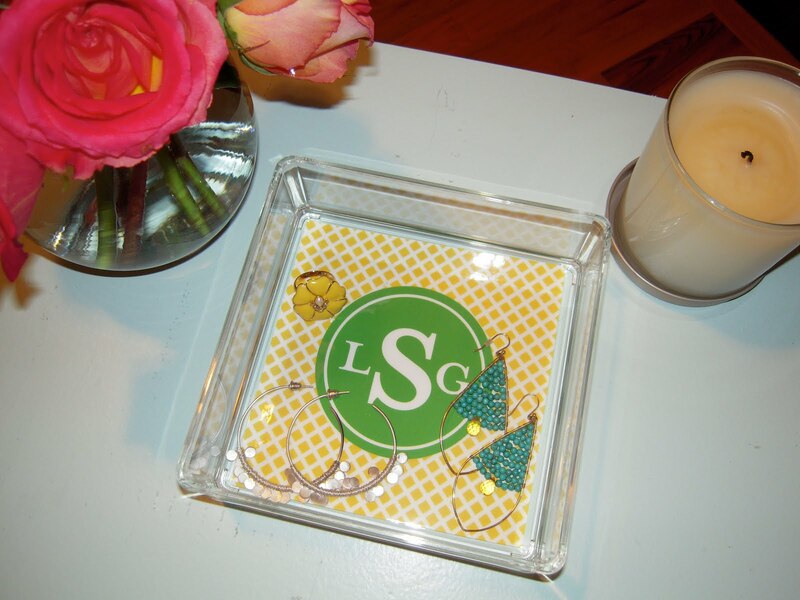 We recently did a party in Charleston and Sarah, one of the hostesses, sent us the cutest pics from this southern soiree! Congrats to Ali who found love on the West Coast! 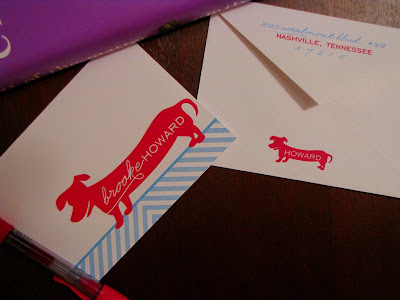 Not to toot our own horn, but we just love these invites we did! 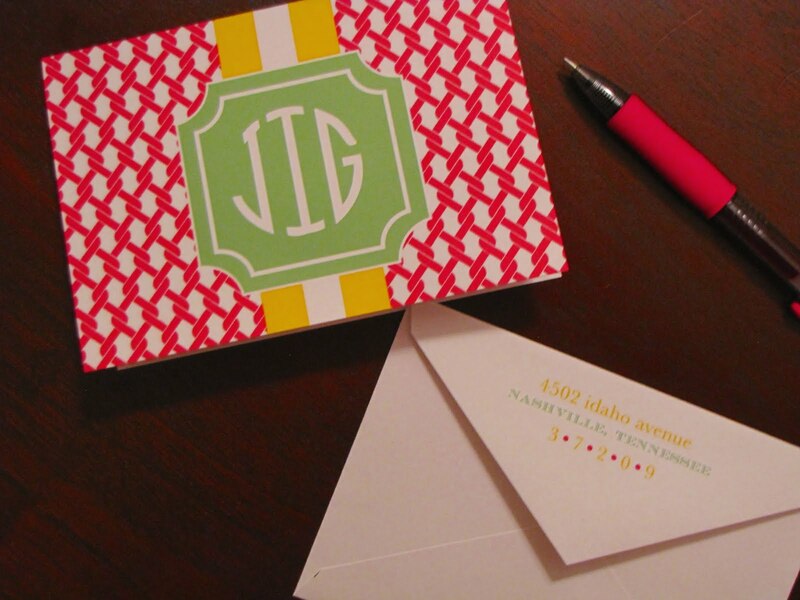 So preppy, cute, and it doesn't get more custom than that! 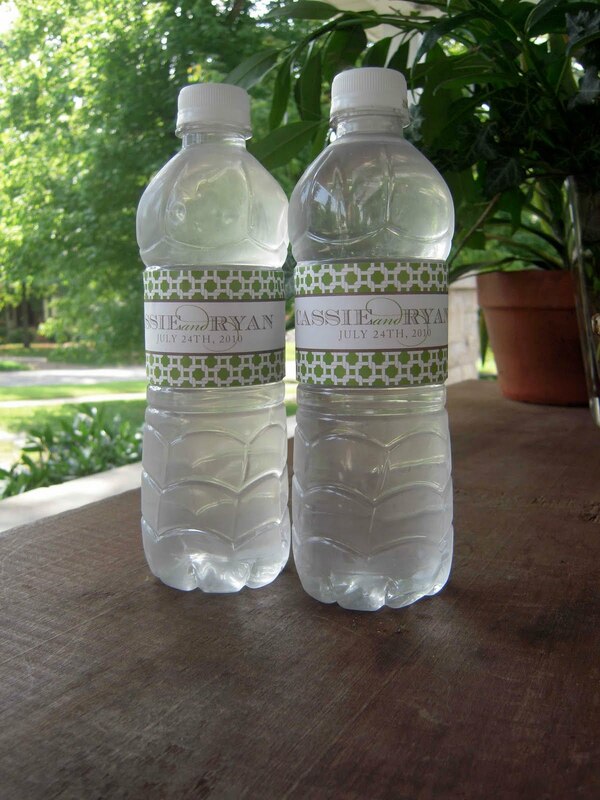 Custom labels for the bride to be on celebratory bottles for future events! 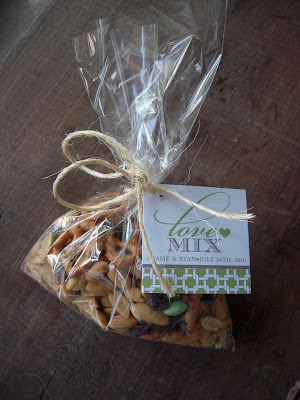 These make such a great gift and we also can do coordinating items for a super swanky custom basket! Super cute straw tags we did! 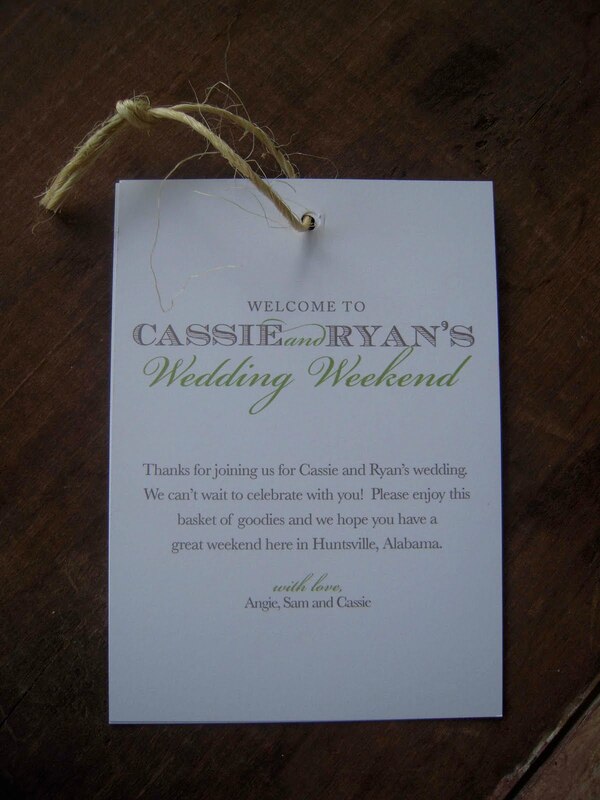 We have been busy little bees over here with an upcoming wedding this weekend! 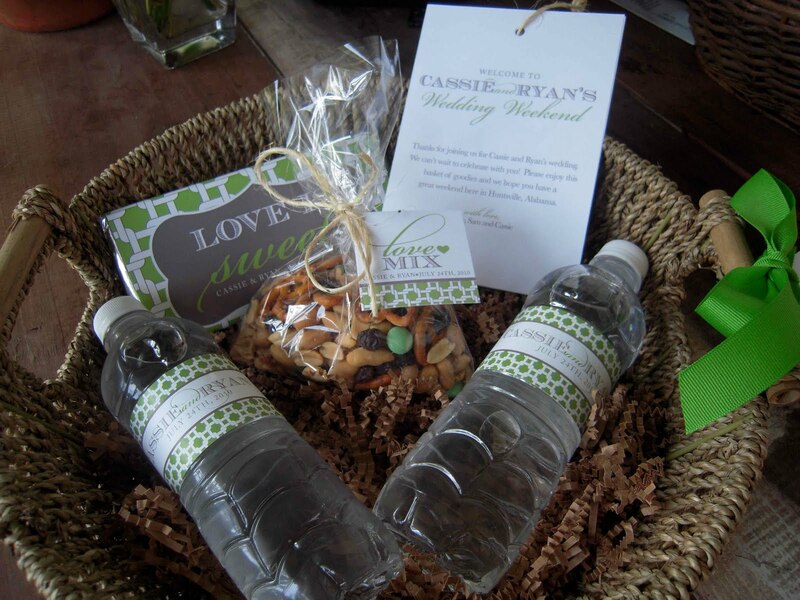 Check out these custom welcome baskets we created for bride and groom Cassie And Ryan! Obviously the bride's colors are taupe and green, so we incorporated that into each item to give that special touch! We just know their guests are going to LOVE these!! We can design welcome notes to match it all! Let your guests know when and where each event is and how to get there! 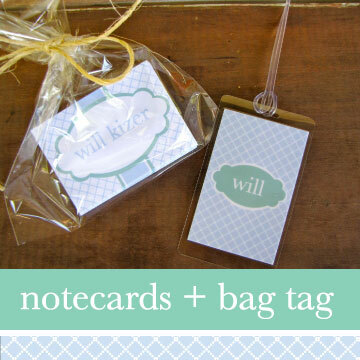 These are SO helpful for wedding guests! For a little extra added swank, give local restaurant and shopping recommendations to make their stay even more enjoyable! And then, of course in true Nico and Lala fashion, we also did coordinating hostess gifts for the bridesmaids luncheon and Friday Night Garden Party! What a way to brand an event! The bridesmaid luncheon was hosted by mothers and daughters, so what better way to thank them than custom lucite jewelry boxes! 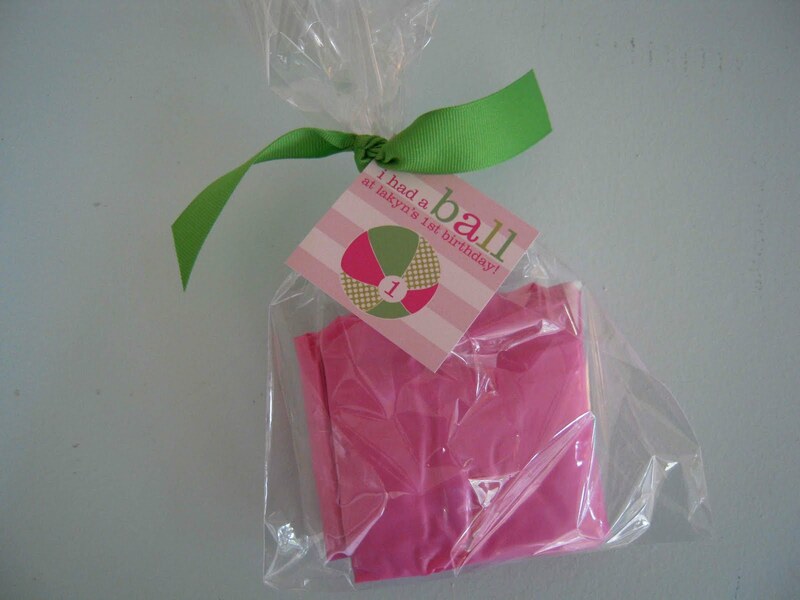 A practical gift for ANY woman, no matter her age! Okay, back to work! 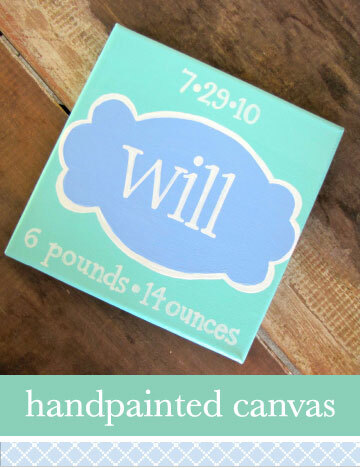 We have a CandyLand birthday party to finish up...don't you worry, pics to come. It will be UNBELIEVABLE! TRUST US! Birthdays are so much fun and especially when they are O-N-E!!!!! How cute is this beach bash going to be? 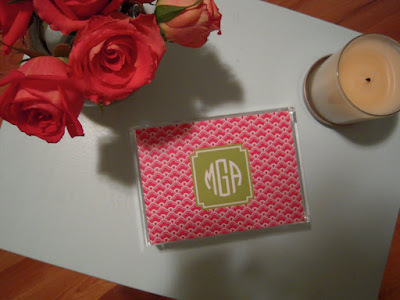 We started with the invitations and then did coordinating and matching favors and thank yous! ENJOY! 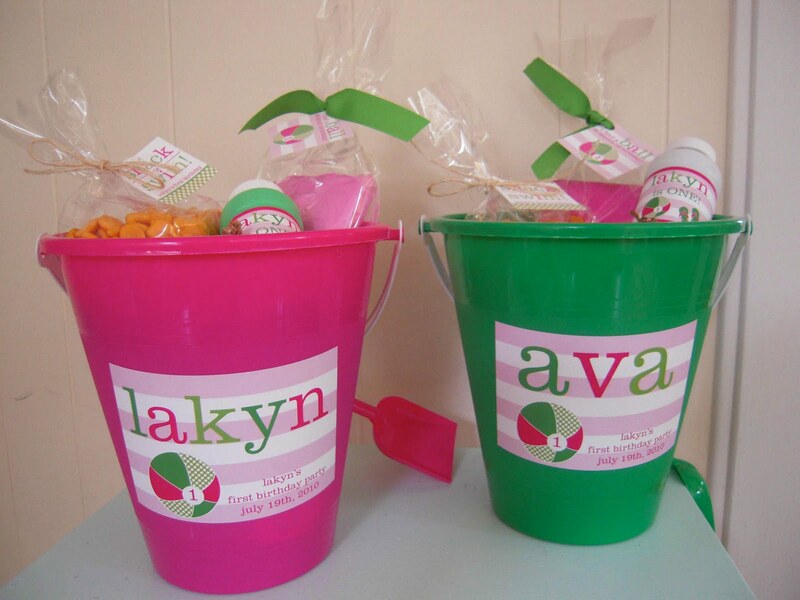 Lakyn's family is headed south to celebrate so we decided to do personalized beach pails for her friends! So chic for one, eh? Each bucket had fun treats inside! 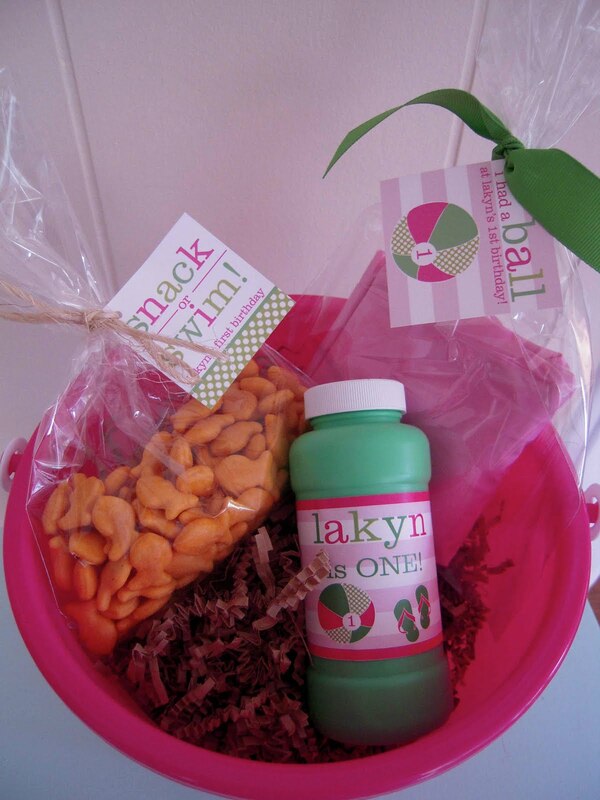 Goldfish (which of course is a kid beach staple) with custom tag that reads "Snack or SWIM", a pink and white beach ball with custom tag reading "I had a BALL at Lakyn's 1st Birthday", and matching bubbles!!! Here is the invitation we based everything upon! This party is going to be precious! We cannot wait to see the pics! What a way to ring in Lakyn's First Year in this world! 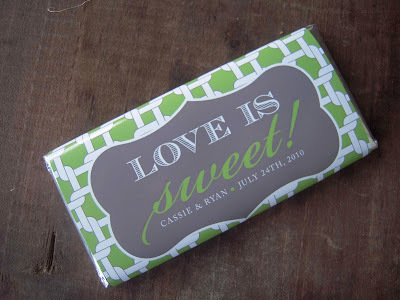 A Summer Save The Date! 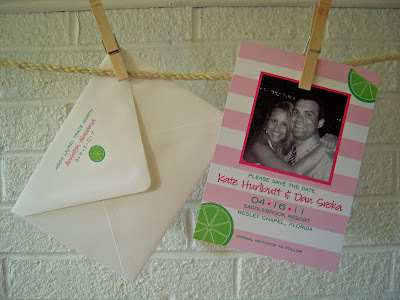 We wanted to share this fun, bright, and Summery Save The Date we recently did! How cute is this?! 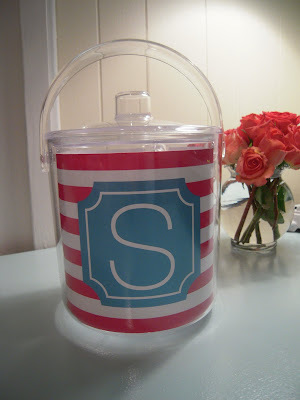 Love the cabana stripes...makes me want to be poolside with a drink that has one of those tiny little umbrellas in it! 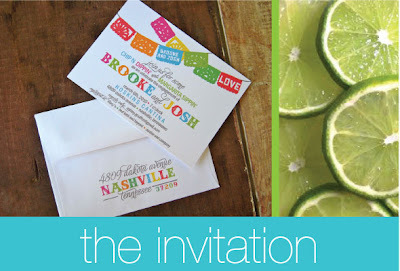 Limes are also a great decorating tool and a great way to make an inexpensive statement at a reception! 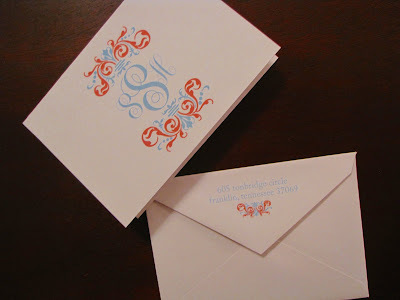 And it all began with the Save The Date! We think this screams Florida fun-in-the-sun wedding!! 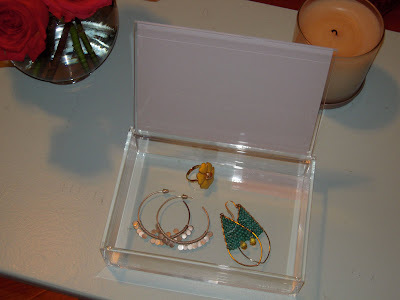 Oh So Swanky Lucite Items! We are SO excited about these new lucite items we are now carrying! Are they not the cutest EVER?! They make such wonderful, unique gifts, and of course, can be completely customized! 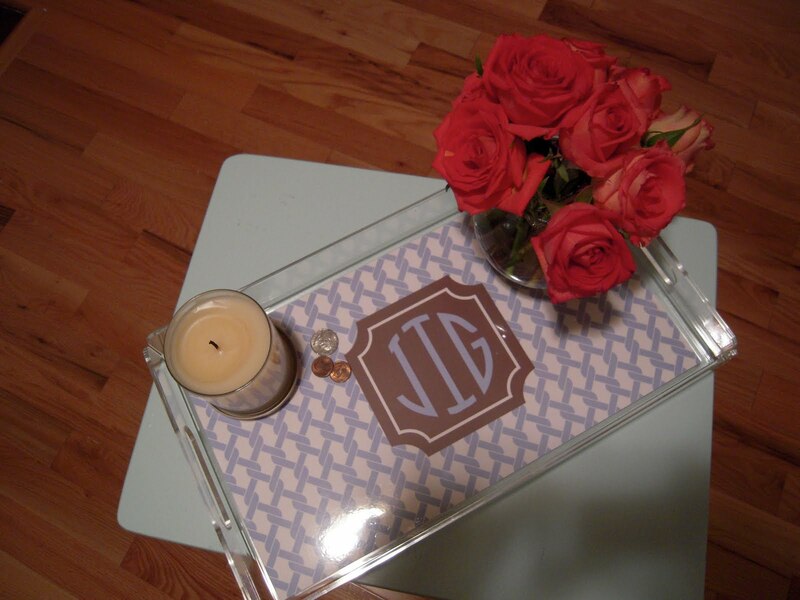 As you can see, the trays are double sided, too! So you can get 2 looks for the price of 1! 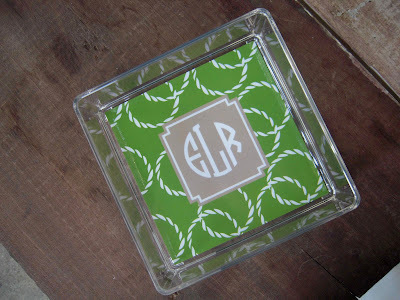 SOOO SWANKY! 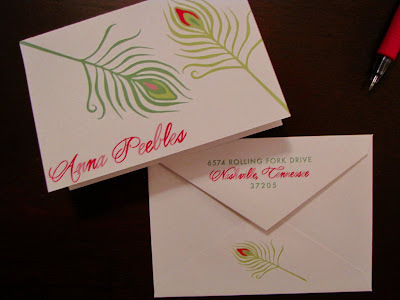 Do you have a friend getting married? 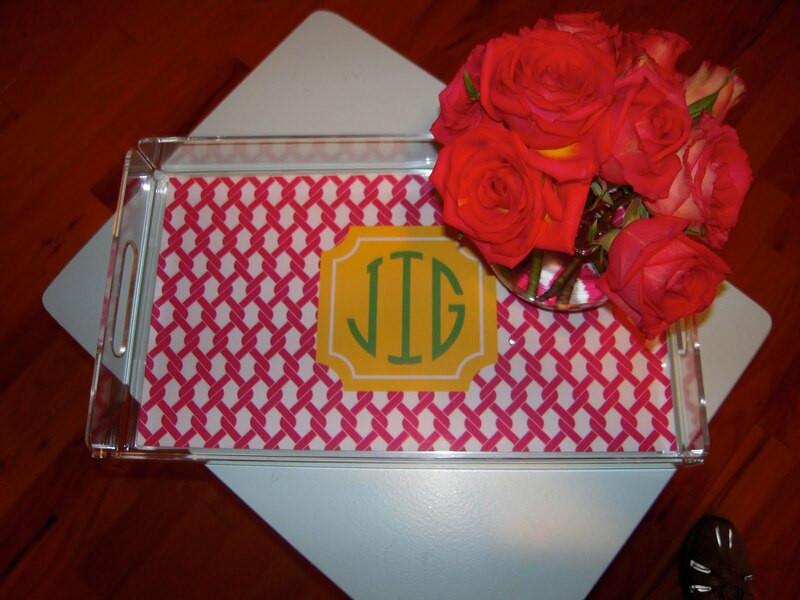 Tell us their living room colors and look, and we can create a custom lucite tray and ice bucket with their new monogram! Are you getting married and need hostess gifts for parties? All of these items are perfect! And the catch all pictured below is only $18! You can't beat that! And once again these are double sided! 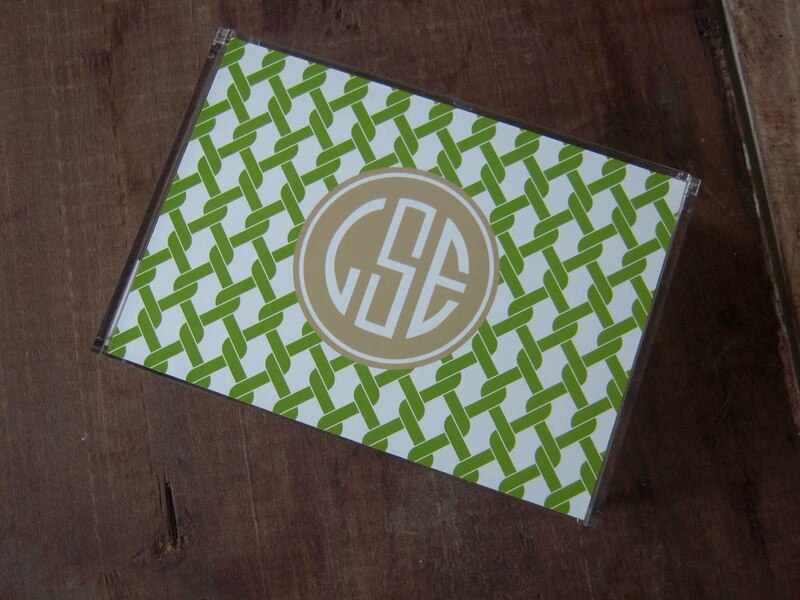 (We just forgot to take a pic of the other side..) Trust us, on this one we did kelly green and white cabana stripes...Stunning! 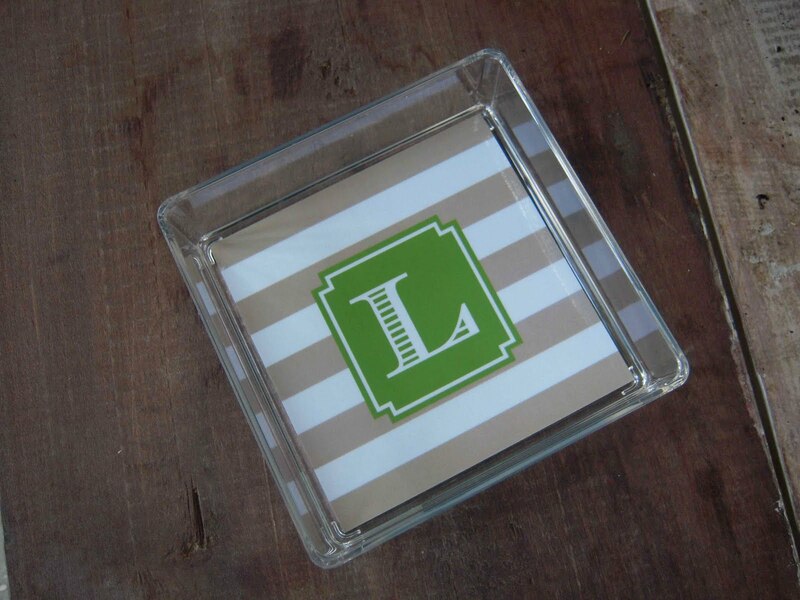 Need a unique gift for a friend who just got a promotion or bought a new home? 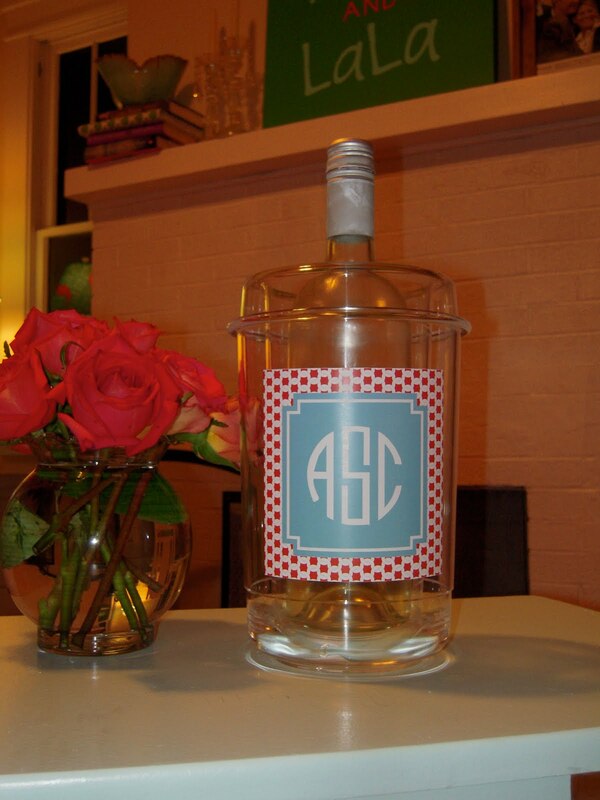 Why not do a custom wine chiller with wine bottle and matching custom label! A Little Slice of Swank! We have finally done it! Welcome, welcome to our brand new baby blog!! 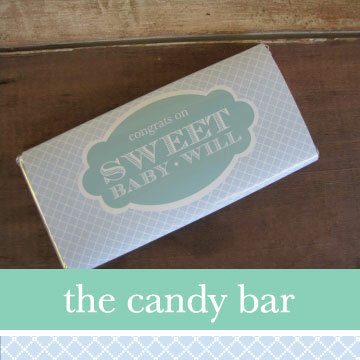 It has been a crazy few weeks for Nico and I, but we are so excited about our new addition, A Little Slice of Swank! Not only do we have a new blog, but also a BRAND NEW OFFICE!!! We just moved...AGAIN...and could not be happier in our new space! Are the windows not just amazing?! 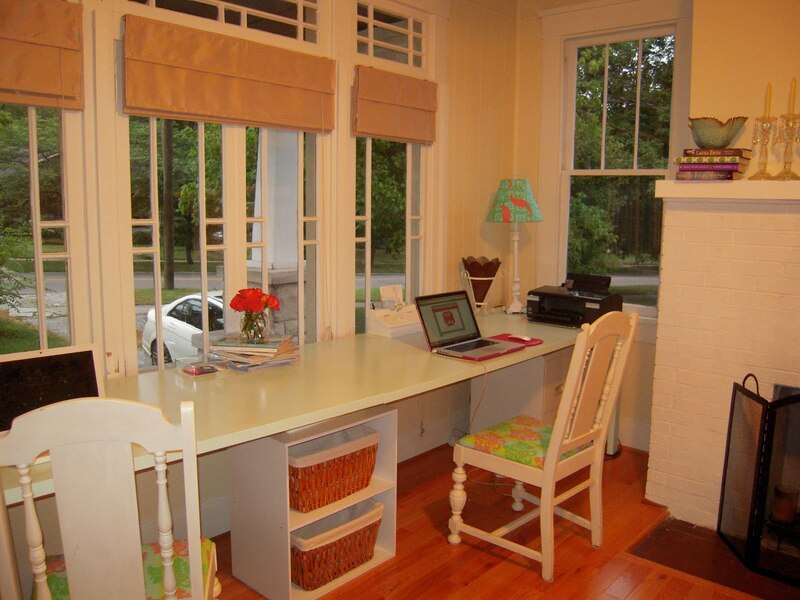 With a little bit of elbow grease and Bob Vila flowing in our veins, we built our desks out of doors! 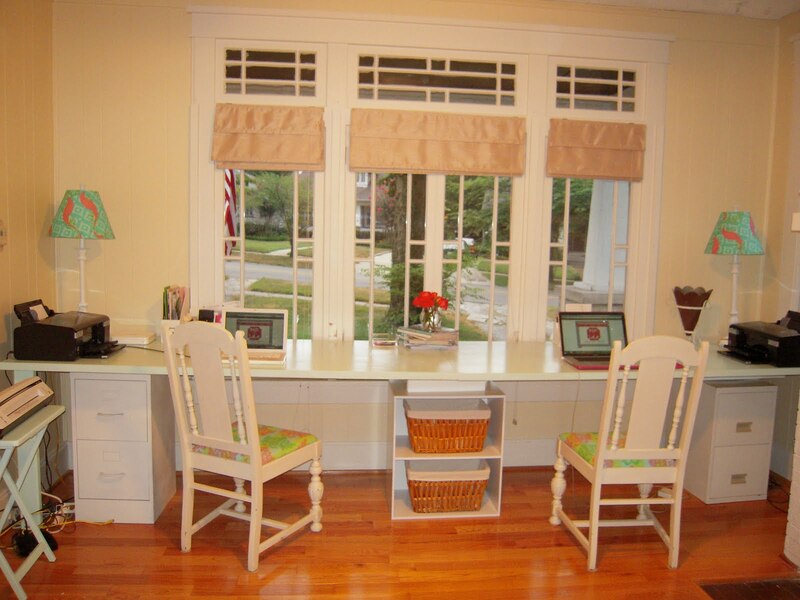 It is such a nice amount of space and we could not find anything large enough. And we are in LOVE with the color and its' name! Tame Teal! HA! 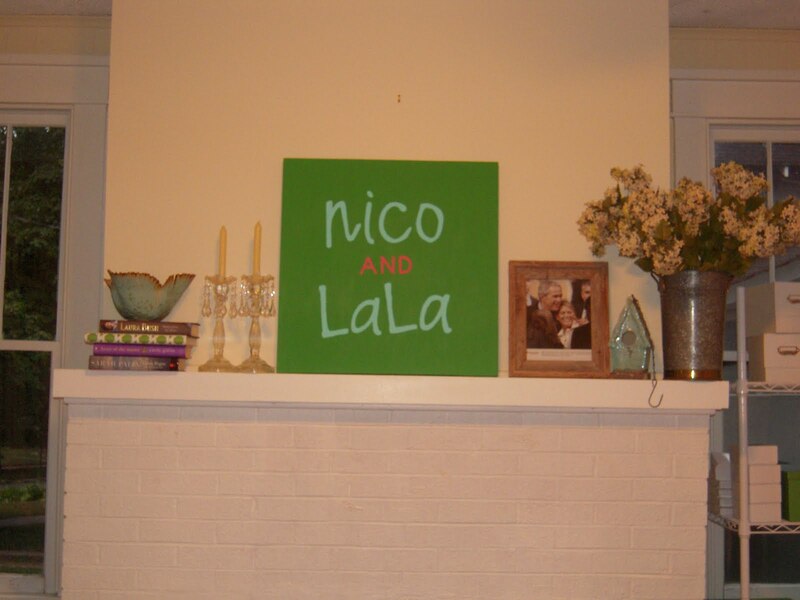 Check out our logo Nico painted on a canvas to match our new decor! SO CUTE!!! Okay, enough of the office (although we could go on and on), and back to business! We have had so many people ask if we have a blog, and quite honestly just haven't done it because there just aren't enough hours in the day! But enough is enough and we have decided to bite the bullet and blog away! We are so excited about having the ability to share the cute, cute stuff we are doing with our incredible customers! This is going to be SO fun!! We may need a few photography lessons (ha!) but we will do our best! Thanks for all your support and check back often!! And even better become a follower of our blog! The more the merrier!